From the Battle of Amiens on 8 August 1918 until the Armistice on 11 November 1918 is the period known as the ‘Hundred Days’. This was a time of almost constant advance for the allied armies. The Australians, few in number, were unable to hold the summit of Mont St Quentin when German reserves counter-attacked but held on just below the summit until next morning when Australian reinforcements recaptured the summit. The same day, 1 September 1918, saw Australian forces break into Péronne and take most of the town. The next day it completely fell into Australian hands. On those three days, without tanks or protective barrage, the Australians, at a cost of 3000 casualties, dealt a stunning blow to five German divisions and caused a general German withdrawal eastwards to the Hindenburg Line. The taking of Mont St Quentin and Péronne is regarded as among the finest Australian feats on the Western Front and the intensity of the action is evident from the fact that eight Victoria Crosses were awarded to Australians between 31 August and 2 September 1918. On 29 September 1918, the strongly defended Hindenburg Line was attacked on a six-kilometre wide land bridge between Bellicourt and Vendhuille where the St Quentin Canal ran underground through a tunnel. 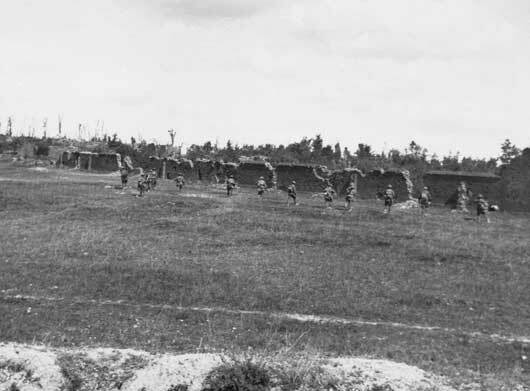 After nearly two months of continuous action Australian units were numerically weak with the average battalion having only 300 men available for action. The Australians were reinforced by keen but inexperienced American troops whose unit strength was three times that of the exhausted Australians. 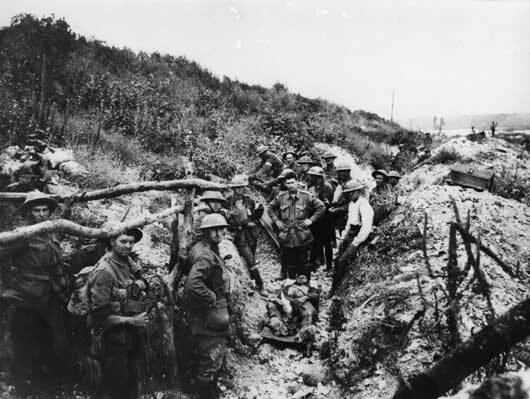 In three days of hard fighting, with Lewis guns and grenades, the Australians captured the first two German lines which had been the American objectives. On 3 October 1918, Australian troops broke through the last defensive system of the Hindenburg Line, the third (Beaurevoir) line. Two days later, Australians, in a costly action, captured Montbrehain village. 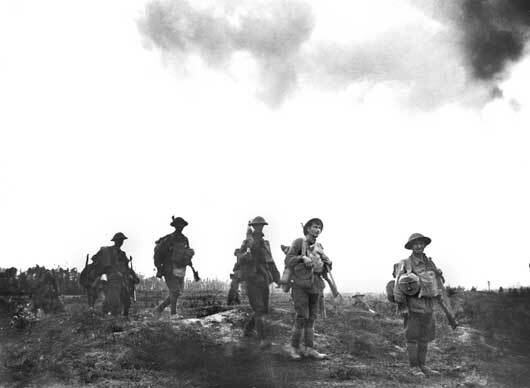 These were the last infantry actions fought by Australian soldiers on the Western Front. The five Australian divisions were now withdrawn for a rest and were heading up the line into battle again on 11 November 1918, the day the Armistice was declared. The last Australians in action on the Western Front were the men of the Australian Flying Corps and some artillery units. The 21st Battalion, having left the trench, start to go through the village at Mont St Quentin (AWM E03104). 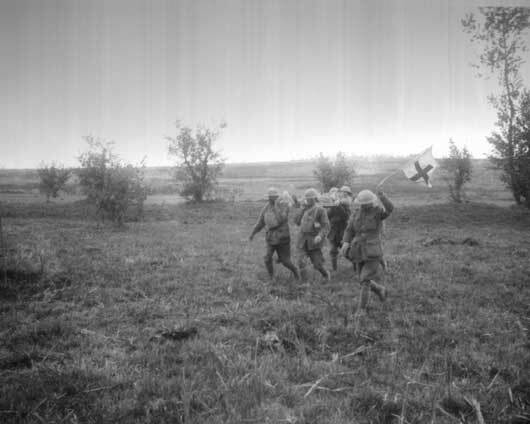 Stretcher bearers of the 6th Australian Infantry Brigade bringing in an injured soldier (AWM E03105). 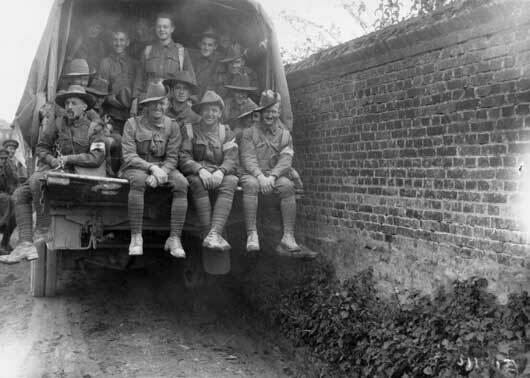 Men of the 6th Australian Field Ambulance pass through the village in a motor lorry, on their way to assist the Medical Services in fighting line (AWM E03130). 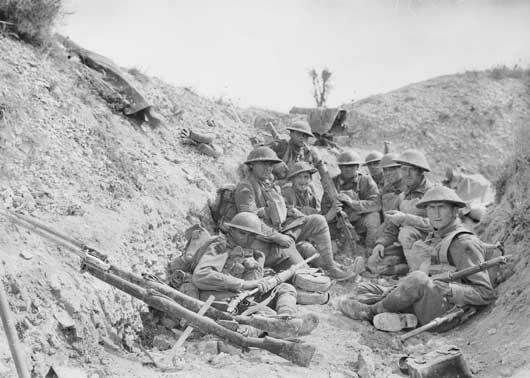 Members of the 24th Battalion in a trench, awaiting the lifting of the artillery barrage before the renewed attack which led to the capture of Mont St Quentin (AWM E03138). 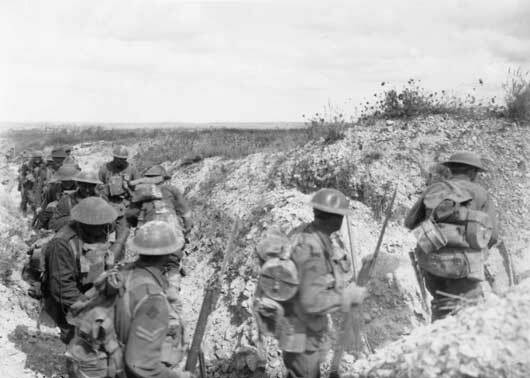 Members of the 6th Australian Infantry Brigade moving along a communication trench in the renewed assault upon Mont St Quentin (AWM E03139). A file of the 56th Battalion in the process of transfer to the northern side of the Somme near Clery-sur-Somme (AWM E03201). Unidentified members of the 28th Battalion on their way to take part in the operations at Mont St Quentin (AWM E03205).